Black Friday Amazon Music deal: 3 months for 99p | What Hi-Fi? The Black Friday Amazon deals have already started - Black Friday isn't actually until next Friday - and the latest addition to the sales is Amazon Music. The deal? Amazon is offering a three-month subscription for just 99p. This Amazon Music deal is for new customers only and after the three-month offer the subscription will revert to £9.99 per month or £7.99 for Prime members. 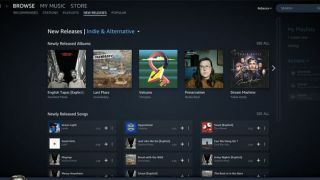 In our Amazon Music review we described the service as a solid rival to Spotify and Tidal thanks to a big library of tracks, wide platform support, Alexa voice control and some diverse playlists. The sound quality is good, too. And at 99p, it's got to be worth a go if you're thinking of signing up for a new music service. Want more? See our complete round-up of the best Black Friday deals. Amazon Music offers great playlists, wide catalogue and platform support, Alexa functionality and greater sonic subtlety than Spotify. Now you can give it a go for three months for just 99p thanks to this Amazon Black Friday deal.